Item is in-stock & ready to ship! The EWD prevents false alarms by eliminating signals emitted by safety sensors on many newer vehicles. You can rest assured that when The Judge alerts you to the presence of police radar, they are near! The screen is clearly visible in all lighting conditions, so you wont have to squint, move your head or lose focus in anyway from the road. Full, 5 mile detection of all bands and frequencies used by police, including K, Ka, super wide bands and all laser. This radar detector uses micro-scan. It enables our detectors to scan 2-4 times faster than any other detector, which gives you a 100% probability of detecting POP Radar. This technology is unique to Rocky Mountain Radar detectors. In addition, we have eliminated X-Band detection. This allows us to prevent false alarms and to increase K and Ka Band sensitivity. The Judge radar detector and laser detector incorporates a Monolithic Microwave Integrated Circuit (MMIC), which reduces internal signals from leaking out of the antenna by up to 1/1,000,000 (one millionth) of previous levels which makes the unit totally undetectable to police. You cant detect whats not there! Police detectors need to get multiple readings sequentially in order to display a valid speed to the officer using the radar/laser gun. When The Judge detects a speed detection device, it floods the signal with additional signals making it impossible for the speed detection device to get an accurate reading. OLED Dot Matrix Display. No need to take your focus off the road! Speeding ticket rebate  thats right if you get a speeding ticket while using our product, well pay your ticket. 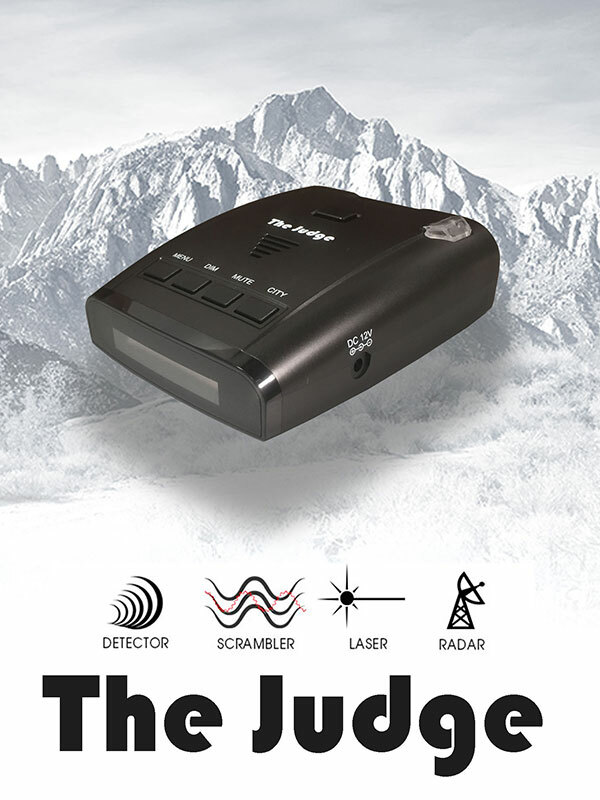 NEW PRODUCT from RMR company "The Judge" RADAR AND LASER DETECTOR / SCRAMBLER SELECTABLE BI-LINGUAL VOICE ALERTS 5 MILE RANGE The Judge has been outfitted with the latest technology in Radar/Laser Scrambling and 360� Radar and Laser Detection. This unit incorporates a Monolithic Microwave Integrated Circuit (MMIC) that reduces internal signals from leaking out of the antenna by up to 1/1,000,000 (one millionth) of previous levels which makes the unit totally undetectable to police. You can't detect what's not there! We have eliminated X-Band detection; allowing us to prevent false alarms and to increase K and Ka Band sensitivity, allowing for an extended range of up to 5 miles. This high-tech Detector/Scrambler has laser scrambling, bi-lingual voice capability, and a newly designed case which uses a Red LED Dot Matrix Display, making it our top of the line Detector/Scrambler model. 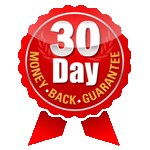 30-Day Money Back Guarantee - If you are not completely satisfied with your purchase within the first 30 days of purchase, just email us to obtain a return authorization number and we will refund your money. Shipping cost and restocking fee may apply. Shipping available to the following states: AL Alabama AK Alaska AS American Samoa AZ Arizona AR Arkansas CA CZ Canal Zone CO Colorado CT Connecticut DE Delaware DC District of Columbia FL Florida GA Georgia GU Guam HI Hawaii ID Idaho IL Illinois IN Indiana IA Iowa KS Kansas KY Kentucky LA Louisiana ME Maine MP Mariana Islands MD Maryland MA Massachusetts MI Michigan MN Minnesota MS Mississippi MO Missouri MT Montana NE Nebraska NV Nevada NH New Hampshire NJ New Jersey NM New Mexico NY New York NYC New York City NC North Carolina ND North Dakota OH Ohio OK Oklahoma OR Oregon PA Pennsylvania PR Puerto Rico RI Rhode Island SC South Carolina SD South Dakota TN Tennessee TX Texas UT Utah VT Vermont VI Virgin Islands VA Virginia WA Washington WV West Virginia WI Wisconsin WY Wyoming AP APO AE APO AA APO UK CD DE, CA CANADA, IL Israel, SA Germany, England UK, CANADA, IL Israel, New Zeland, Spain, Iceland, Brazil, Australia, Mexico, PL Poland, Singapore, Turkey Greece, North America, South America, Belgium, CL Chile, China, Colombia, Costa Rica, Cyprus, Denmark, Ethiopia, French, Finland, Germany, Hong Kong, Irelan, Italy, Japan, Kuwait, NZ New Zealand, Norway, Panama, Peru, PR Puerto Rico, Swaziland, Sweden, Uruguay , Venezuela, British Virgin Island, SA South Africa and more, pleae call if needed. COPYRIGHT © 2019 Radar Scramblers.com ALL RIGHTS RESERVED.